Vegetable or Canola OilBasic liquid vegetable or canola oil is a key element in a homemade pesticide for your fruit trees. Vegetable or canola oil works by suffocating small insects, insect larvae and eggs, thus preventing infestation. One cup of vegetable or canola oil is mixed in one gallon of water. Cinnamon OilWhile its mechanism isn’t fully understood, cinnamon repels and kills many kinds of insects including ants, aphids, mealybugs and other problem pests. One tablespoon of pure cinnamon oil is mixed into the water and vegetable oil mix. However, too much cinnamon oil could potentially harm the tree’s leaves; a one tablespoon dose of cinnamon oil will keep insects at bay and keep your tree healthy and robust. 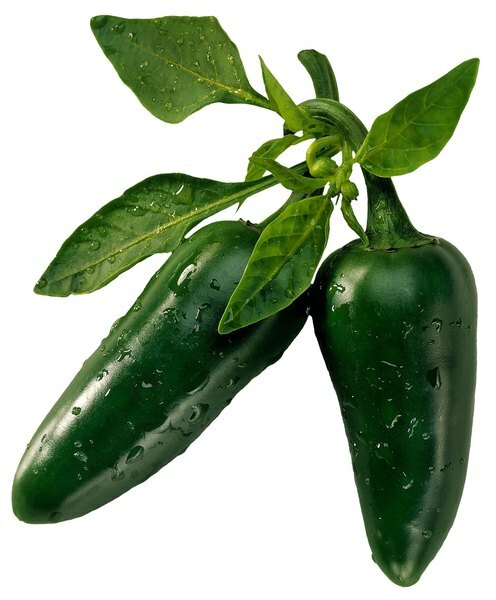 Hot PeppersHot peppers, such as cayenne and red chili, will keep bugs off your fruit trees because insects do not like the spicy taste or feeling of hot peppers. Adding some hot peppers to your homemade pesticide will keep the bugs away while keeping your trees and fruit healthy. Two tablespoons of cayenne or chili pepper powder is steeped one cup of hot water for 24 hours.Strain the solids from the liquid through a cheesecloth or heavy paper towel, then add the liquid to the main mixture. GarlicInsect pests are repelled by the odor of the sulfur compounds in garlic. Two tablespoons of garlic powder and one cup of hot water, stirred occasionally, steeps for 12 to 24 hours to make a garlic tea. The solids are strained from the liquid by pouring the tea through a cheesecloth or thick paper towel. The remaining liquid is then added to the mixture. Liquid Dish DetergentA liquid dish detergent works as an emulsifying agent to bind together the oils and liquids in the homemade pesticide. It can also work in a fashion similar to oil to suffocate small insects, larvae and eggs. One-quarter cup of any kind of liquid dish detergent is added to the mixture and stirred gently. ApplicationTo apply the homemade pesticide to your fruit trees, you will need to use a pesticide sprayer made specially for trees. These are available at garden centers everywhere. If you’re applying the mixture to very young or dwarf trees and you can reach the top of the tree, a simple spray bottle will suffice. Wearing gloves and protective eye goggles keeps over-spray from getting in your eyes or on your skin. The mixture is applied evenly to the leaves on the tree using the wand attachment on the sprayer. The liquid should be visible on the leaves, but not dripping. The pesticide will dry in about an hour in full sun, or within two hours on a cloudy day. The organic pesticide is reapplied to your fruit trees every two weeks or after heavy rains during the growing season. 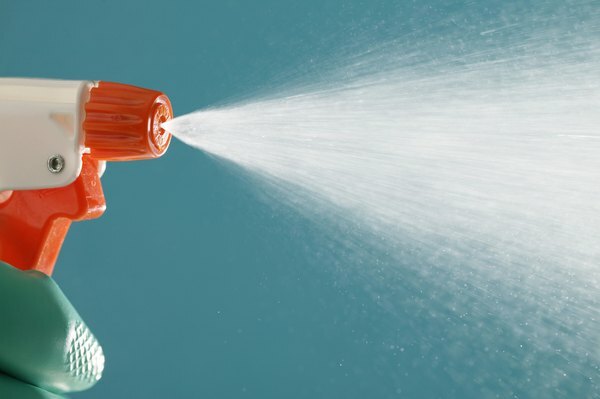 Gardening stores often sell insecticidal soap sprays, but you can make your own. Experts at Oregon State University recommend mixing 1 teaspoon of vegetable oil and 1 teaspoon of dishwashing soap per cup of water. This spray will help with aphids, mites, scales and other insects that have very small breathing holes. To use it, spray the fruit tree leaves thoroughly, and then wash the soap away after a few hours. You can also use 3 tablespoons of dishwashing soap or 2 tablespoons of baby shampoo per gallon of water. Many insects will avoid hot peppers. To produce a spray that wards off Japanese beetles, boil 1/2 cup cayenne pepper and 1/2 cup jalapeños in a pot of water. Strain out the peppers, and spray the trees with the remaining water to repel the beetles. A spray made from 1 teaspoon of soap, 1 tablespoon of hot pepper, six cloves of garlic, 1 minced onion and 1 gallon of water blended together will repel a variety of insects. It will affect aphids and other insects killed by soap sprays, as well as caterpillars, hornworms, cabbage worms and other insects that avoid pepper. Soap may burn fruit tree leaves, so check them for damage and wash away soap sprays after a few hours without rain. It is also important to keep in mind that some recommended homemade insect control methods can be effective but potentially hazardous. For example, cooked rhubarb leaves release oxalic acid, which works well to control aphids. Rhubarb leaves, however, are toxic to humans. If you choose to use a homemade insecticide containing rhubarb, do not spray it where children may consume it and wash fruit thoroughly before consuming it. Solutions containing tobacco and chrysanthemum flowers can also be toxic.